Although the upcoming auction’s “star” is a blue diamond (Cartier’s Sky Blue Diamond Ring), pink diamonds have always been the most demanded diamond color, so it comes as no surprise that Sotheby’s was able to cultivate a spectacular array of these gems for its upcoming auction in Geneva. With pressure in the form of last year’s incredible diamond records that were set at the very same auction, Sotheby’s most certainly had to acquire a momentous selection of diamonds and has succeeded. Collectors and investors alike will be satisfied with the diamonds are being offered by both auction houses, but those that are specifically interested in pink diamonds will be pleasantly surprised by the options that Sotheby’s will present at auction. One Auction, 3 Dazzling Pink Diamonds! 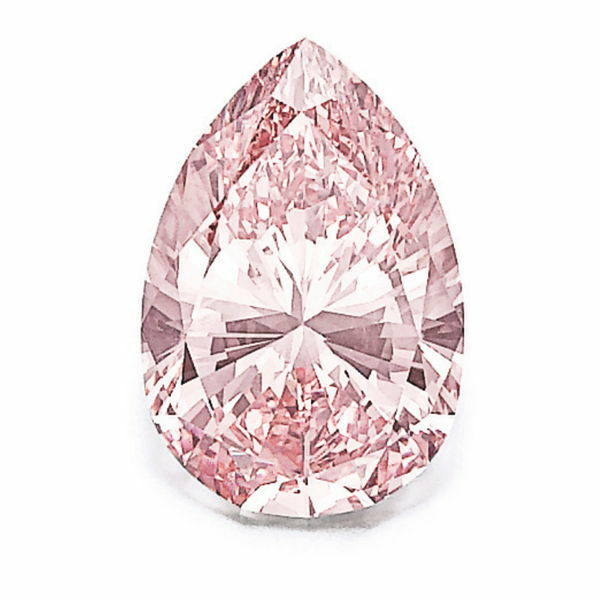 Among Sotheby’s sizable collection of pink diamonds for the auction, a number of Fancy Intense Pink diamonds stand out. 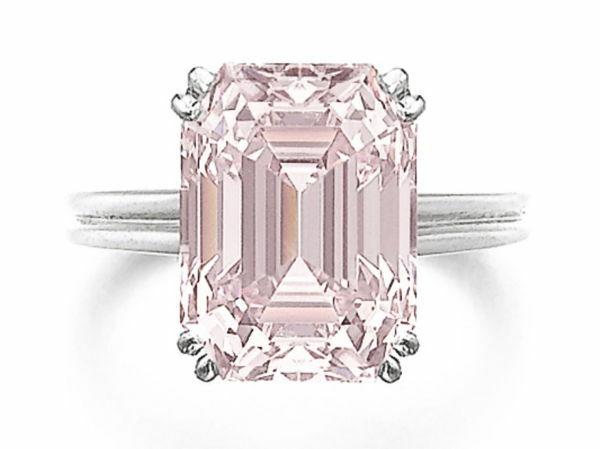 Normally, pink diamonds with such high intensity and clarity grades are extremely rare and nearly impossible to find. However, when their owners decide to part with them, they often find their way to the famous auction houses for sale. This explains how no less than 3 of these high caliber diamonds have wound up at the auction this November. The fact that they appear in the same evening is slightly misleading as to the availability of such diamonds, but attendees at such events know all too well that the price wars for diamonds like these are extremely competitive and only the truly passionate diamond buyers win. Let’s take a look at 3 Fancy Intense Pink diamonds from the auction catalog. The first Fancy Intense Pink diamond is a beautiful 8.73 carat Fancy Intense Pink VVS2 emerald cut diamond set in a ring. The auction house has set its estimate between $2.5 million to $4.5 million, or $286k to $515k per carat. 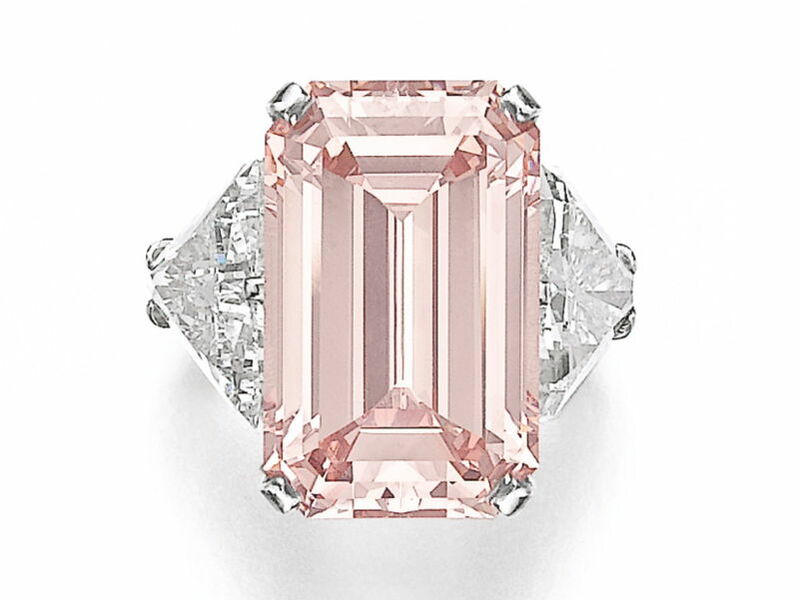 Considering the prices that Sotheby’s estimated for the other Fancy Intense Pink diamonds for the evening, and considering the enormous spread between its high and low estimate, it leads us to speculate as to what is going on here with the price. Our next spotlight on a pink diamond is for the 13.20 carat Fancy Intense Pink IF pear shaped diamond. Between this diamond’s high color intensity, IF clarity, and large 13+ carat size, it is a sure ticket to an intense bidding war. These are all qualities that auction attendees seek and many members of the audience will have their eyes set on acquiring this gem. It’s unique pear shape, which is no small feat in the fancy color diamond world (most fancy color diamonds are cushion or radiant shaped) only adds value to an already desirable gem. 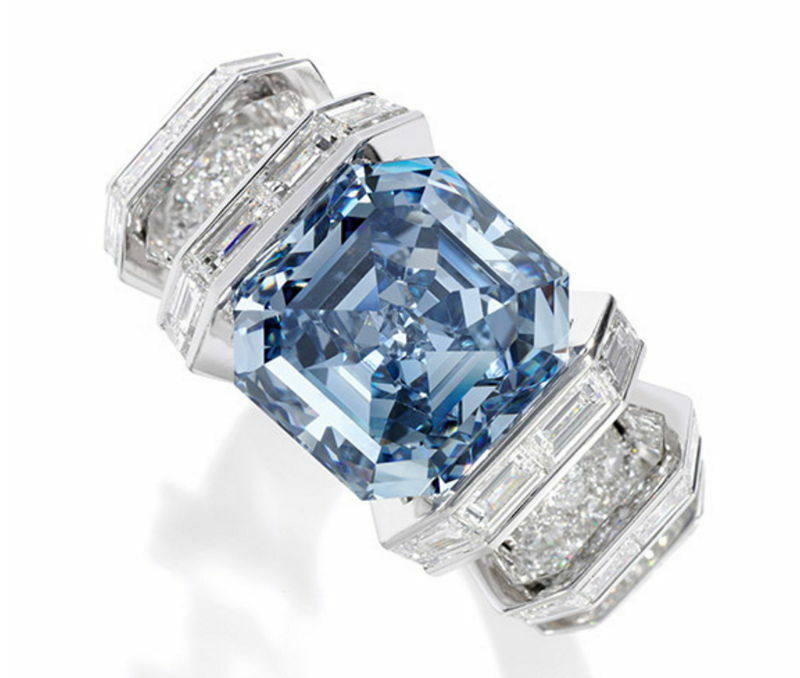 Thus, the auction house has set its estimated price for $9 million – $14 million, or $682k to $1.06 million per carat. It would be fascinating if the diamond broke the barrier for over $1 million per carat! A price like that would attest to the real value that the market applies to diamonds of this caliber. Our final diamond is the spectacular 17.07 carat Fancy Intense Pink VVS1 emerald cut diamond. At double the size of the other intense pink emerald cut diamond of the evening, this diamond is truly going to stand out. Not only is it enormous, its pink color looks to be very strong and its very high clarity adds tremendous value. In fact, it is valued at a price well over 5 times the value of the 8.73 carat diamond. Sotheby’s has pinpointed its estimate at $12 million to $15 million, or $703k to $879k per carat (compared to the 8.73 carat diamond’s $2.5 million – $4.5 million!). It will be truly fascinating to see how the market values this high caliber stone, and whether it can meet or even exceed the auction house’s expectations. happen when these diamonds go under the hammer? Tell us in the comments!